Many are anticipating the release of the Apple Watch 2 in the upcoming WWDC 2016 event. The first Apple Watch was released roughly a year ago and now seems like a timely date to release the updated version. The new Apple watch is though to have a similar design to Apples first watch, however it will be approximately between 20 and 40 percent thinner. Additionally, the watch will include a camera in which the user can FaceTime other Apple devices. The camera will obviously also be able to record videos and take pictures. Moreover, the watch will have a faster Wi-Fi feature with an improved processing chip. This will in turn let the device process data faster. Many complained about the first generation Apple Watch which had poor battery life. Apple are keen to tackle this problem and will certainly make a significant attempt to rectify this. Central to this process could be including a larger battery in the next generation smartwatch, and reports have suggested that this will indeed be made possible by using a slimmer display in the Apple Watch 2. The Apple Watch 2 is will also include cellular connectivity, which would vastly improve the range of functions the watch is capable of when not directly pared to an iPhone unit. The New York Times has reported that Apple Watch 2 buyers will be able to choose from either 3G or 4G connectivity, with consumers apparently paying for a data plan in order to use this particular function. Apple will also likely include an improved health tracking feature. The option is thought to be a aimed at athletics and many are excited about this specific feature. Apple announced that its World Wide Developers Conference (WWDC) keynote speech will be on Monday, June 8th, kicking off the event. The biggest event of the year for the company, there is sure to be plenty of excitement as new products are announced, updates are released, as well as other surprises. At this point, it has been reported that Apple will announce its new music streaming service, although its subscription TV streaming service won’t be announced. The company will be releasing its new music streaming service, as it attempts to enter the business segment late. Apple released iTunes in 2003 and changed how people pay for and listen to music. It hopes it can do the same thing now, as it attempts to bring music streaming, which is on the upswing, into the mainstream. The service will cost $10 a month, competing with other services like Spotify and Tidal, and Apple will attempt to get iTunes customers to use the service. Apple already has their credit card info, so a switch could be seamless. While the company will reveal its new music streaming service, its TV streaming package won’t be released as the company has not been able to come finalize licensing deals. Apple wanted to release the service this fall to coincide with the start of the new broadcast television season, but industry executives now believe the service won’t be released until later this year, or even in 2016, as it looks to find agreements with local broadcasters. The updated Apple TV will be released without the service, though, along with new operating systems iOS 9 and OS X 10.11. 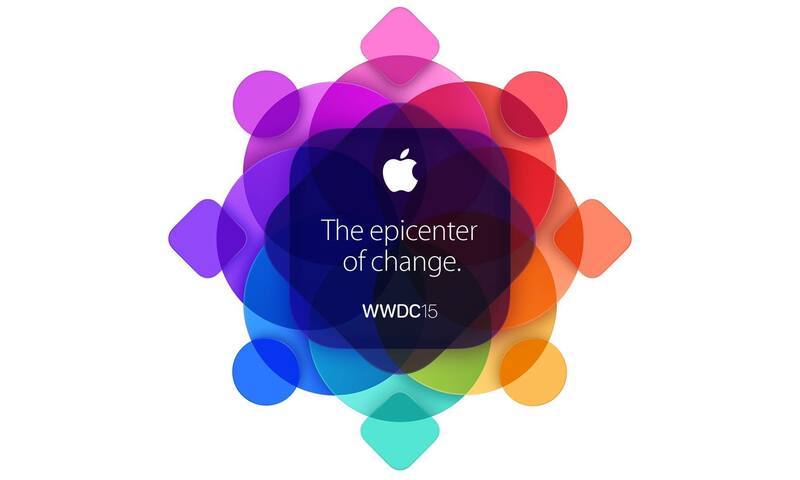 Apple will host its World Wide Developers Conference, or WWDC, on June 8th. The conference is a big annual get-together for the company, where it usually unveils a variety of new products, including new versions of the iOS and OS X operating systems in addition to new Macs and iPads. The impact of the event was huge last year, as it got the company back on track after a slow start, and market analysts will be keeping a close eye on what could be revealed during the conference over the next two months. At last year’s event, Apple unveiled the iOS 8 for the iPhone and iPad, OS X Yosemite for the Mac, its HomeKit set of tools for developers to make connected home devices work with Apple products and more. It is almost a certainty that the company will reveal the iOS 9, the new operating system for the iPhone and iPad, which will focus on improved stability and optimisation improvements over new design and features. The new Mac OS X, titled Mojave, should also be previewed, while attendees could be provided with an update on the new Macs revealed on March 9th along with the Apple Watch. The most exciting possible new product to be revealed at the conference is the long-rumored revamped Apple TV. The set top box has not been updated in a long time, and it is believed that Apple hopes to revamp the entire home with this new product. A hint at this can be seen at the invite to the conference, seen above, where the figure in the middle is in the shape of an Apple TV with the words ‘The Epicenter Of Change.’ The Apple TV, which will allow people to pick which channels to include in their television package for streaming, will also act as the central hub of Apple’s HomeKit, with Siri being the perfect controller for the rest of the home.